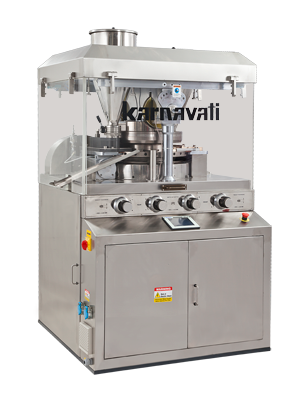 Karnavati has developed a unique expertise in designing, manufacturing & servicing the widest range of machines for the needs of Industries like Allopathic, Nutraceuticals, Ayurveda, Homoepathic , Veterinary, Food & confectionary, Salt, Detergents, Chemicals, Camphor etc.. We invest a considerable part of our revenues into R&D and attribute all our successes to the team work of our employees. 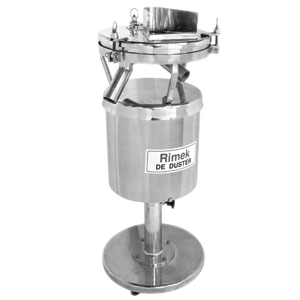 We were the first to introduce small batch (R & D) Tablet Presses domestically. 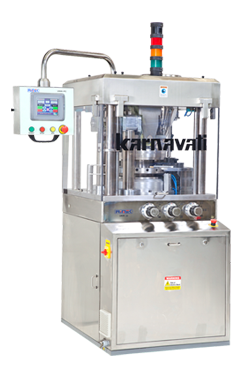 We led the industry for designing front Controls for better ease of operation. 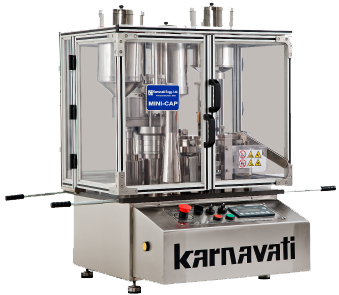 We developed Table Top Fully Automated Capsule Machine in early days when capsulation was considered to be a bulky affair. 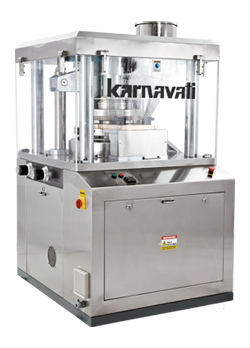 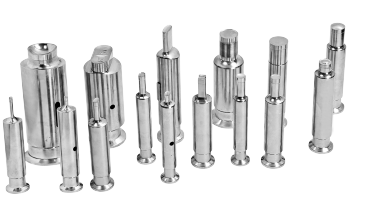 Other than above machines we offer tablet punch & dies and other accessories of tablet and capsule machines.